Saving 10% of your earnings may be hard to do. My plan has Two Steps, based on your Pay Schedule and able to save money more easily! Choose which step applies to your Pay Schedule. 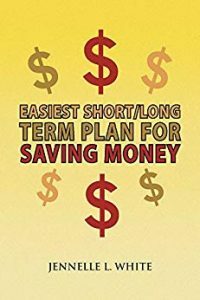 Saving money can be easy, start now! $2.99 on Kindle.